Kari M. Butler joined the University of Georgia School of Law in 2016, and she currently serves as the school's director of stewardship. Her responsibilities include fostering the relationship between scholarship recipients, donors and the law school as well as managing the gift acknowledgement process for all donations to the law school. She previously served as an administrative intern in the College of Coastal Georgia’s Office of Institutional Advancement. While earning her undergraduate degree at Coastal Georgia, Butler was president of the Student Government Association. 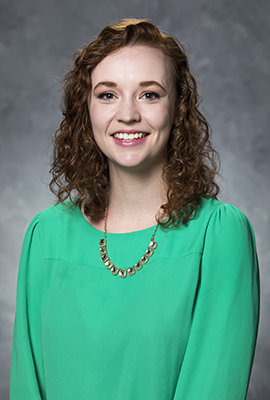 In this role, she advocated on behalf of the student body through her participation on various college committees, provided oversight for meetings of student representatives and planned campus programs for the student body. She also worked in the Office of Career Services, where she assisted in the execution of career-related events and with the registration process for students. Butler earned her bachelor’s degree in public affairs from the College of Coastal Georgia, where she received the Vice President of Student Affairs’ Excellence in Leadership Award in 2015. She earned her Master of Public Administration at UGA.